Any teacher who has worked in a connected classroom knows that kids do not know how to use technology as well as some may think. The unfortunate truth is that kids don't know how to use the Internet any better than they know how to use the Dewey decimal system. Although almost every classroom in the United States has WiFi, very few classroom teachers and students are skilled enough to fully take advantage of the most powerful resource, ever. 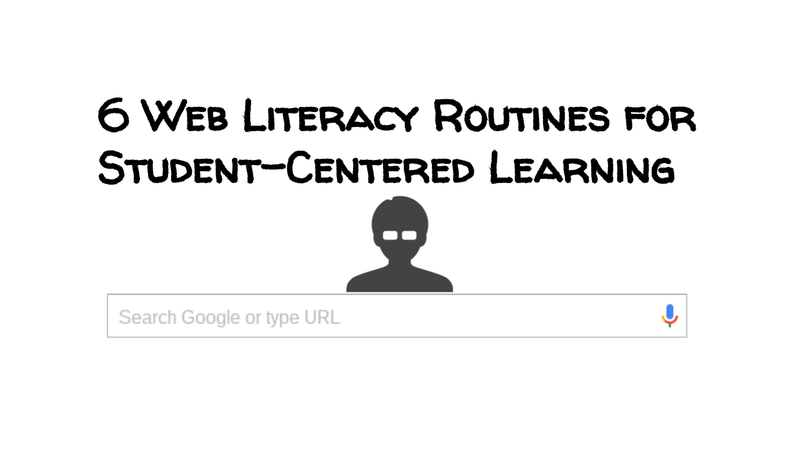 From basic searches to curating the best results, this post is a conceptual look at using the Internet for learning. 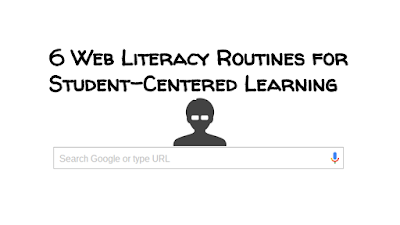 The routines have come from students and colleagues over the years and comprise what I've learned about the needs of our connected learners – teachers and students alike. I can't tell you how many times my students have failed to answer a question because they didn't understand what it was asking. This issue has inspired me to design activities that focus more on using basic inquiry to build routines for understanding problems. What does the problem require us to know? What does the problem require us to do? How will I know if we have the right information? What resources could serve as exemplary? By allowing students to find information on the Internet, it opens new opportunities to help them recognize the accuracy an trustworthiness of the source. TIP: Use Google Images and YouTube to find exemplars. Most people miss out on the wealth of information Images provides. Turn the image or video search into an activity so you (the teacher) can model or discuss evaluation of the sources. 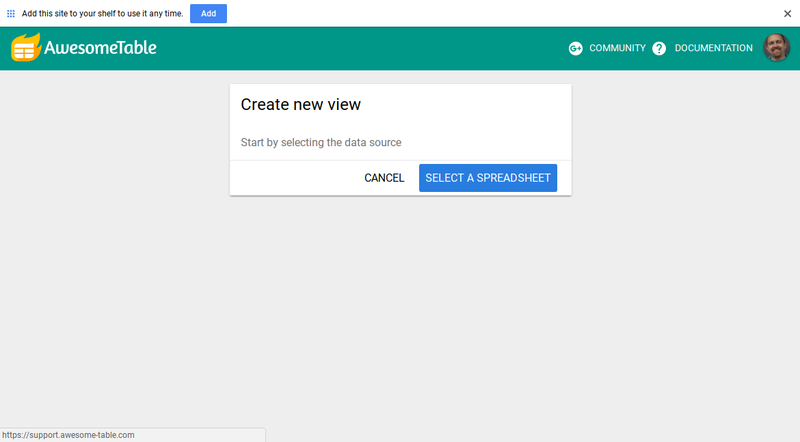 Collect links via Google Classroom, Padlet, Today's Meet, Google Form, or whatever tool you already use. Most people assume they are searching the Worldwide Web when they do a Google search. To a degree, they are correct, but their search is tailored to what Google thinks they need. Unless the user employs operators or country codes, for example, the search will not be focused. The most important operator that we use in our classroom is "site: ..." because it limits our search to whatever site we are searching or the type of site. 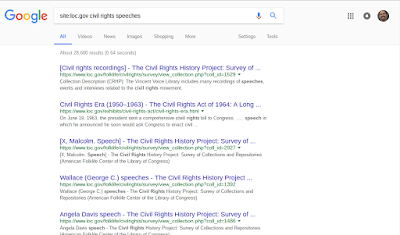 For example, we can search the Library of Congress for civil rights era speeches by typing "site:loc.gov civil rights speeches." 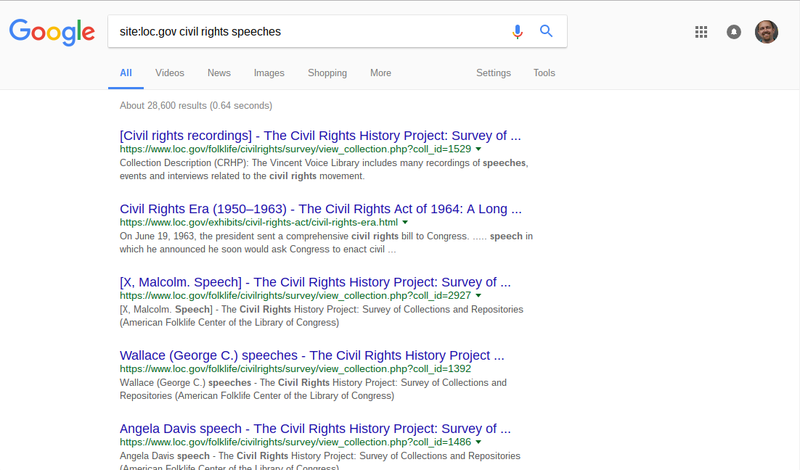 You'll get search results shown in the image below. 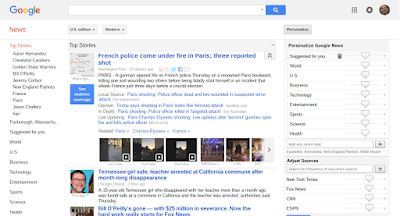 Google search now allows you to leave out the "site:" operator, however. Country codes used for top-level domains yield results from different countries. 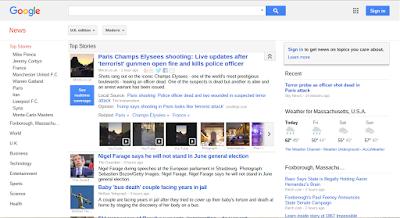 If we search Google News at google.com and compare it to google.co.uk, we will see different headlines (images below). 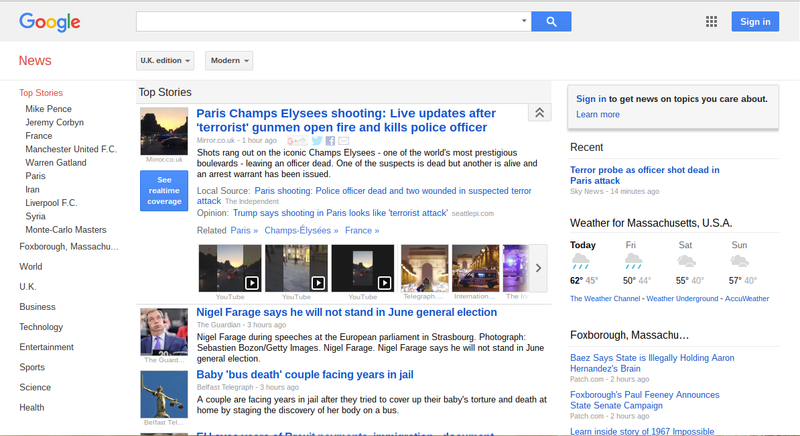 The first image is Google News UK and the second one is Google News US. 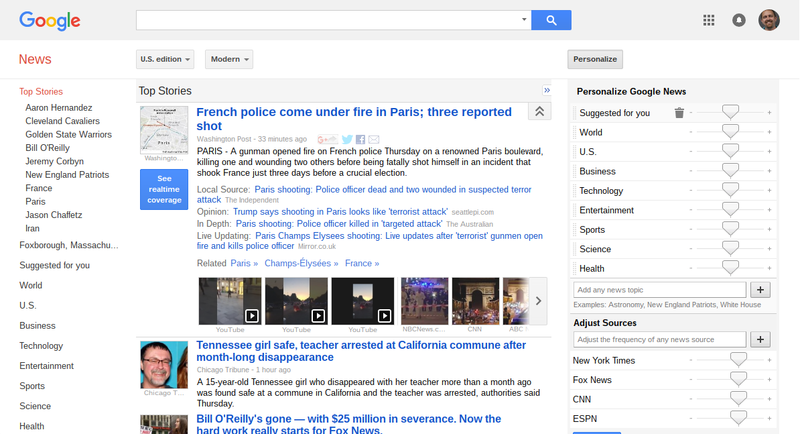 I'm sure that if we compared these headlines to Google News Chile, we'd see something different there, too. 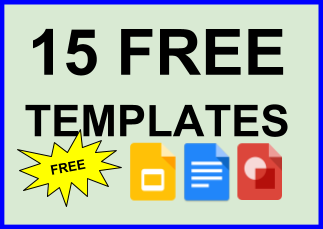 Another important routine that saves a lot of time when searching for information sources is the use of file extensions. These are the letters at the end of a file name that indicate the file type. If you are looking for slide presentations, type "ppt" in your search (no quotation marks). The PDF file extension is often more useful when crafting a search because a lot of finished and published documents are shared on the internet in PDF format, so the results will often yield more useful sources. It's not shooting fish in a barrel, but it's far from a shot in the dark. Lastly, use Wikipedia. I do not suggest using Wikipedia as your source of information for the supporting evidence of an argument, but it is great for gathering keywords and points of view that can make your search more efficient. Whoever said Wikipedia isn't accurate or trustworthy, hasn't done their homework to confirm their claim. In theory, Wikipedia is a bad idea, but it has worked fabulously in practice because of the safeguards put in place, which few people understand. TIP: Try hint.fm/seer to analyze keyword combinations as they relate to Google-suggested results. Play around with it, but don't get lost in the rabbit hole of curiosity. What gives a website authority? Names of stuff are important, but knowing the significance of a source is the ultimate goal. The significance of .edu sites is that we are promised an educational institution. The same goes for .gov or .org, but this isn't to say we should go easy on these sites. The value and limitation of the site in relation to a problem (or phenomenon) are key to determining how to use a source, or if it's even worth using. Moreover, sources can often be incorporated in terms of how they answer questions to which other sources fall short of fully responding. One source's limitation, in other words, can be solved by another source's value. Like I said above, Wikipedia is only a bad source of information when used in certain contexts. As far as encyclopedias are concerned, Wikipedia is the most significant in terms of size and accuracy in World History. Plus, it's good enough for Google, which uses Wikipedia in the Cultural Institute. Approach reading the Web like you would read a map. Read the title and look for anything symbolic. Also look for captions, media, and hyperlinks. Orient yourself with what the site has to offer. The goal is to find a pattern you're looking for or one you should be looking for. TIP: If you are looking for specific words in the text, use the browser's content search (ctrl + F). After using Wikipedia to construct keywords and phrases, these searches should yield valuable information, or you'll know for sure if a source is a waste of time. How much is enough? How many sources do you need? It depends on the value and the range of ideas. I often think about choosing sources by triangulation – three sources of which the third decides which of the other two best support a claim. Citing websites is about access at a given time because sites can go through several updates, so be sure to include the date and time accessed with the URL. EasyBib is a useful site to format works cited and a consistent source integration style throughout the paper. Good information is worth keeping and sharing. Social media have made the sharing part very easy, and cloud file storage makes curation simple and efficient. 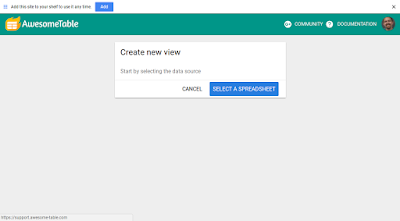 Saving sites and files in Google Drive is quick and easy with Chrome extensions. Then, you'll want to present the collection, so check out apps like Awesome Table. Bottom line: The discussion in my class is shifting from me delivering the information to the students finding the information to guide further discussion about the sources they find. The lesson is becoming about how I can facilitate learning in lieu of direct content instruction and the Internet has made this possible better than any textbook.